I’m going to start listing the groceries we get from Friends & Farms by the date. It was getting a bit confusing to number them. 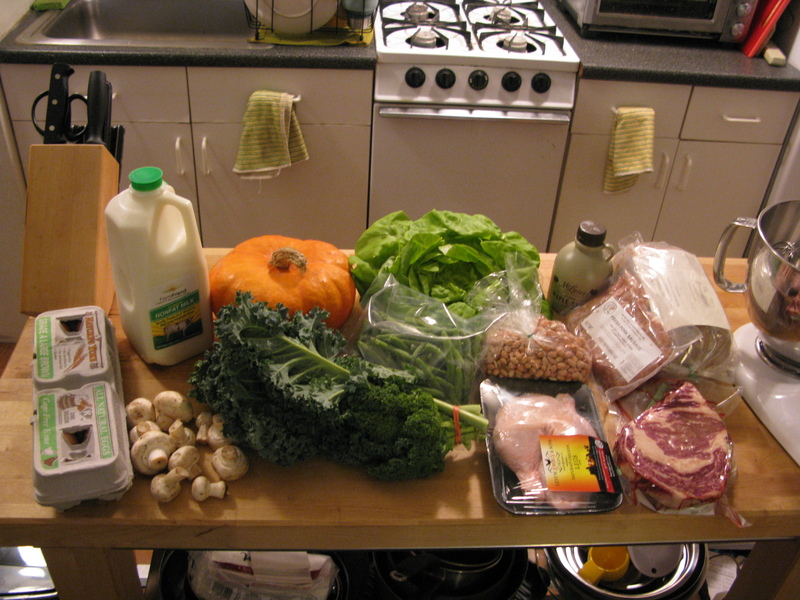 This week we got – Two awesome steaks (I believe they were ribeye), chicken legs, pork sausage links, a pumpkin, mushrooms, kale, green beans, bibb lettuce, raw peanuts, maple syrup, eggs, milk and bread.